?2019 Lexus RC F 10th Anniversary Special Limited Edition? Lexus, Toyota?s luxury division is commemorating the 10th Anniversary of their ?F? designated vehicles with the 2019 Lexus RC F 2-door sport coupe. ?F? is for Lexus?s performance oriented line of vehicles. 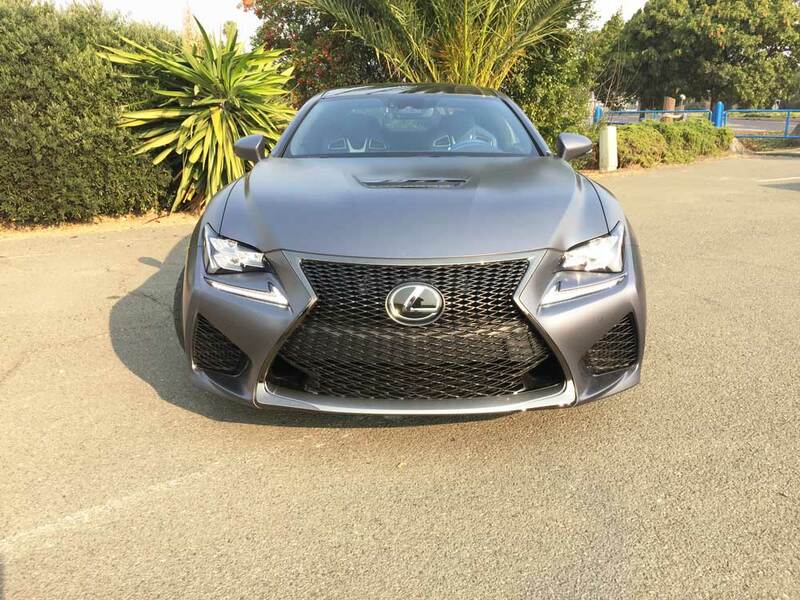 The new 10th Anniversary Special Edition of the Lexus RC F is limited to 240 vehicles for sale in the U.S. Its exotic appearance is instantly recognizable by the Matte Nebula Gray painted exterior ? the first use of matte paint on a production model since the Lexus LFA ceased production in 2012. In contrast to the flat gray paint are the gloss black 19-inch BBS? 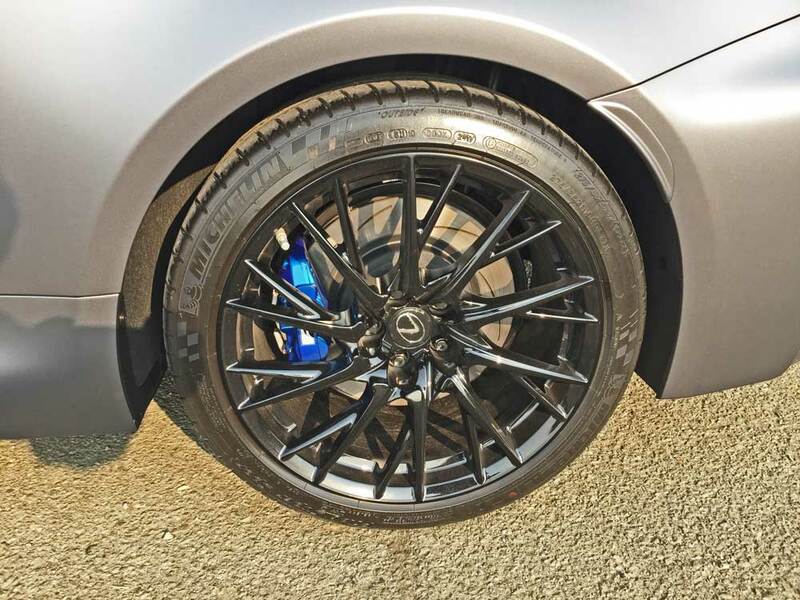 forged alloy wheels and the blue Brembo? brake calipers. 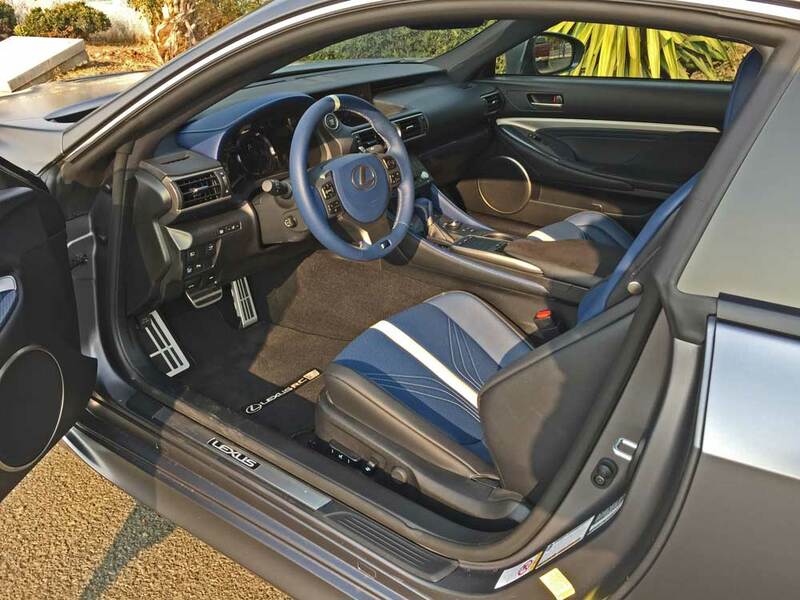 Moving to the inside of the dynamic Lexus 2-door sport RC F coupe, one is greeted by a Bespoke Fuji Blue interior trim applied to the seats, steering wheel, front seat belts, the instrument panel cover, shifter and center console. A white marker band appears at the top of the steering wheel as driver?s reference point during spirited maneuvers. A white stripe and stitching also appears on the comfortable and supportive seats. Topping off the interior are blue carbon fiber trim accents on the doors and center console. 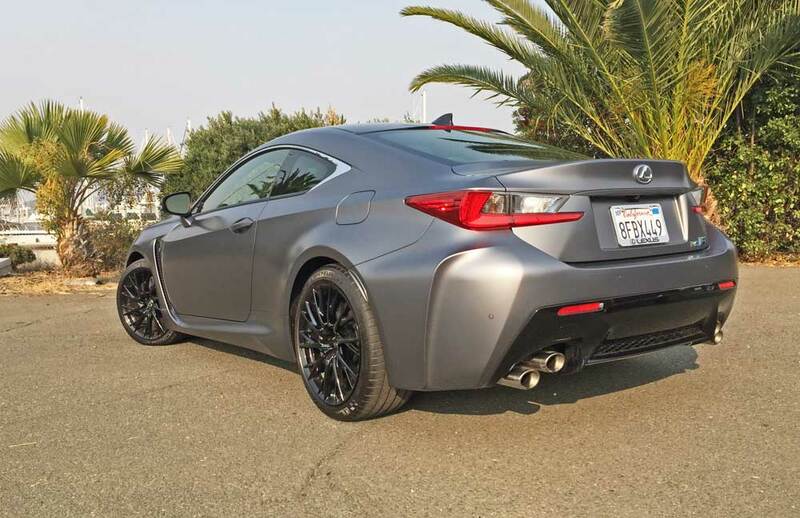 The RC F takes on a lower stance and is slightly wider than the base RC Coupe. The wheels and tires are wider as well. Leading it all off is the spindle grille executed in a black mesh with the ?F? motif repeated in the pattern, flanked by the standard LED headlamps and separate L-themed daytime running lamps. Available Premium Triple Beam LED headlamps offer the RC F a distinctive light signature while the rear combination lamps feature a Lexus L-shape theme. 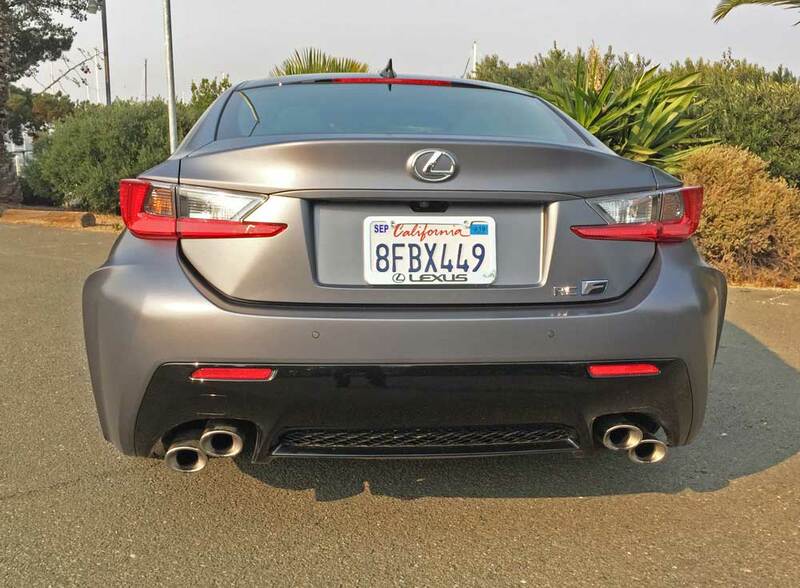 Finishing up aft are the RC F?s stacked dual exhaust outlets. Exterior styling elements contribute to the car?s aerodynamacism with all inlet and outlet ducts serving to exit hot air and smooth the airflow over the vehicle. 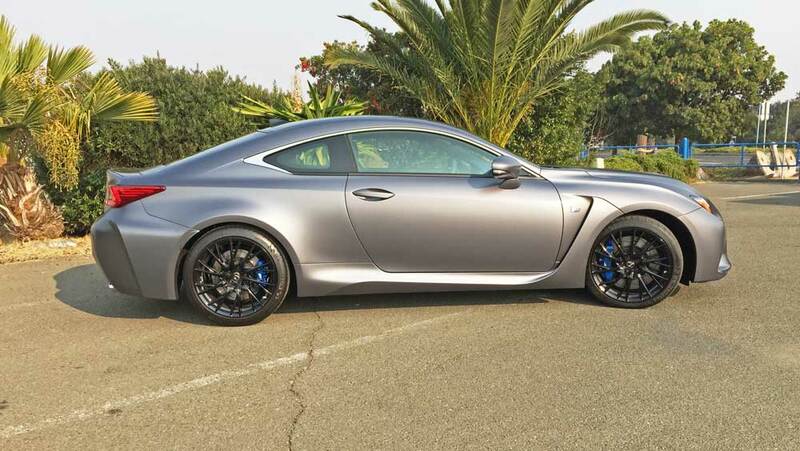 The RC F?s motive force is provided by a 5-liter, DOHC, 32-valve naturally aspirated, longitudinally mounted front V8 engine with Direct and Port Injection, VVT-iE and VVTi driving the rear wheels with a Torsen Limited Slip Differential. The V8 makes 467 horsepower at 7,100 rpm, while also producing 389 pound feet of peak torque in a range from 4,800 to 5,600 rpm. Gear changes are made by an electronically controlled 8-Speed Sport Direct Shift automatic transmission with steering wheel mounted ?F? spec paddle shifters and a manual mode. The 2019 Lexus RC F begins with a base price of $64,650. My test vehicle came with the following options: Premium Triple Beam headlights; Navigation System with Mark Levinson Audio system featuring 17 speakers, 835 watt, 7.1premium surround sound DVD/CD player with Green Edge and CLARI-FI Technology; Backup Camera and touchpad controller; Intuitive Parking Assist; the 10th Anniversary Special Edition Package with a 1 of 240 units produced engraved plaque; and the Delivery, processing and Handling fee, which elevated the final sticker price to $84,560. 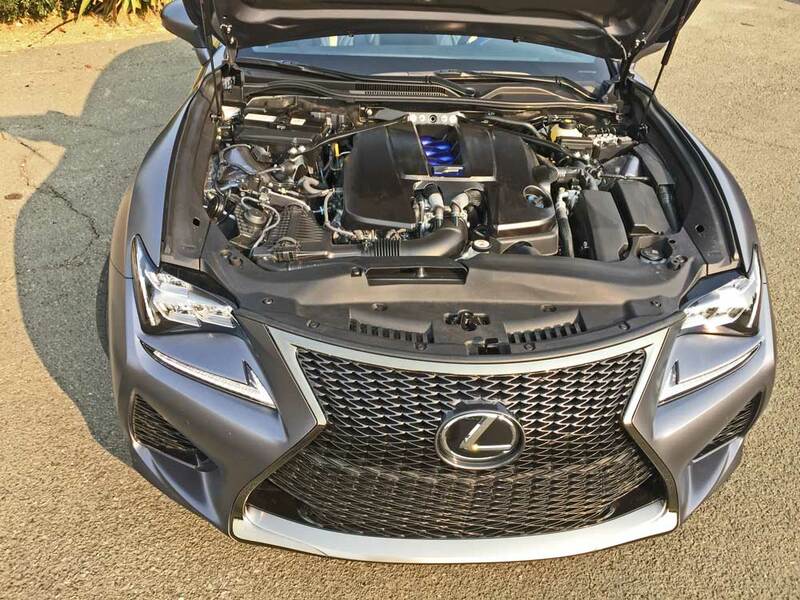 The 2019 Tenth Anniversary Special Edition Lexus RC F not only looks the part, but delivers the goods in terms of its performance attributes. The healthy 5.0-liter naturally aspirated V8 emits a thunderous rumble through its trademarked stacked dual exhaust tips, with the Active Sound Control electronically boosting the cabin sound level through the audio systems speakers. What better music can there be? The Sport Direct Shift automatic gearbox delivers rapid, but smooth shifts for pleasing linear acceleration thanks to Lexus? G Force Artificial Intelligence Shift control, which selects the most appropriate gear for sporty driving scenarios by monitoring a number of vehicle sensors. The system also blips the throttle in downshift deceleration, matching engine revs for smooth transitions. A Drive Mode Select feature allows the driver to set vehicle performance responses according to the driving situation or the driver?s mood. The NORMAL mode delivers the smoothest, most balanced ride quality and drivetrain?performance. SPORT S adjusts throttle settings sharpening the engine?s responses. SPORT S+ provides the optimum powertrain performance and sets the Electric Power Steering steering assist for the best driver feedback. ECO mode enhances fuel Economy by optimizing the throttle, engine tuning and?climate control system. A Custom mode may be selected by pressing the dial switch once when in Normal mode to provide a particular combination of vehicle settings. The RC F?s handling characteristics were developed on the world?s most demanding race circuits, including Fuji Speedway in Japan and Germany?s legendary Nu?rburgring circuit. 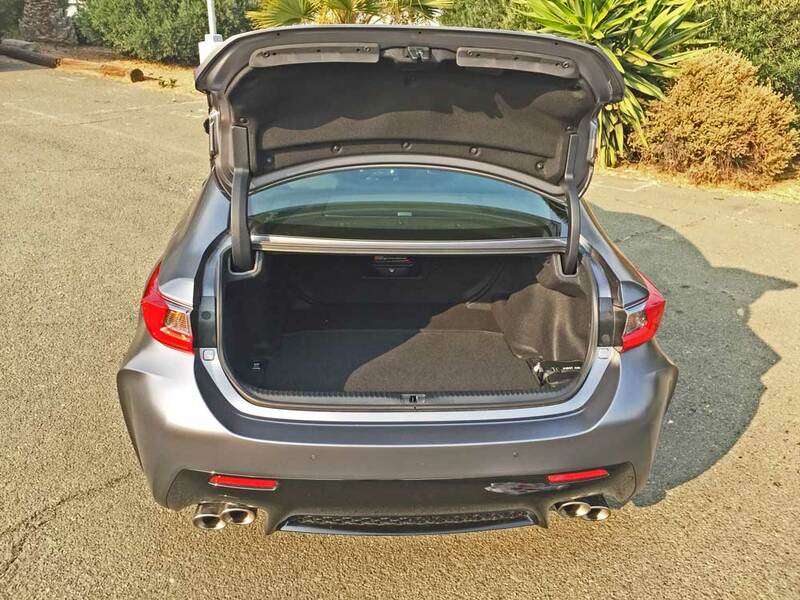 Lexus developed a special chassis for the RC F beginning with the ultra-high-rigidity RC platform, including a strut tower brace and a substantial V-shaped rear-partition brace. A cowl brace connects the front pillar section and apron member, enhancing steering response and roll feel. Rear suspension member mounts were strengthened to ensure maximum traction. The RC F?s Linear Adaptive Variable Suspension featuring a linear solenoid design was tuned for improved cornering and body roll stability while also enhancing ride smoothness during acceleration and deceleration. The Torque Vectoring Differential also aids in cornering stability. A switch on the center console, allows the driver to select one of three distinct settings for the TVD to best suit their driving style or conditions: STANDARD delivers a high level of control and agility for everyday driving; SLALOM puts added emphasis on steering response, giving the vehicle a more agile feel, similar to one with a smaller wheelbase, and TRACK enhances high-speed handling. in the driver?s hands, turning off TRAC, but still using VSC to control the engine and brakes to assist the driver. All the features of the Lexus Safety System+ comes standard including the Pre-Collision System, Lane Departure Alert with Steering Assist, Intelligent High Beam and High-Speed Dynamic Radar Cruise Control. 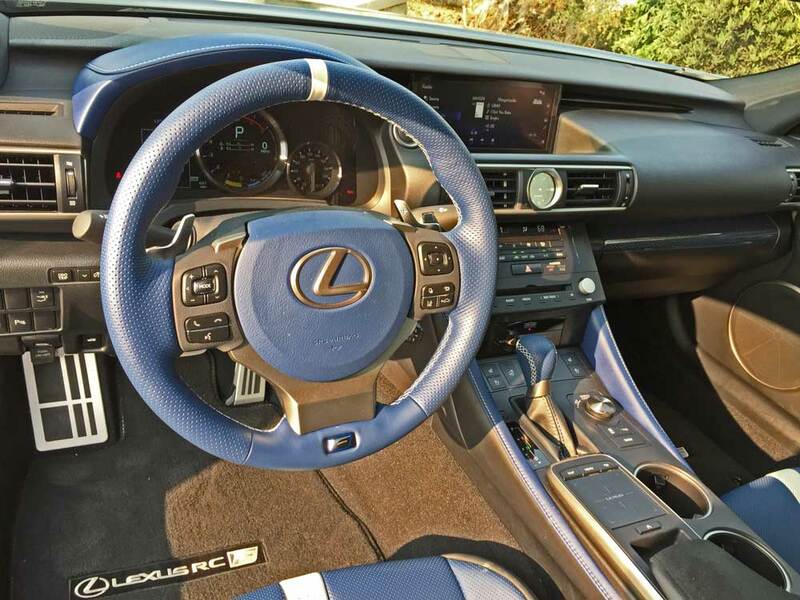 The Lexus RC F has eight airbags, including a dual-stage driver?s airbag, dual-stage and dual -chamber front passenger airbag, driver?s and passenger?s knee airbags, front-seat side airbags and first and second row side curtain airbags. Lexus Enform Safety Connect is complimentary for the first 10 years of ownership with access to Lexus Enform response centers 24/7/365. 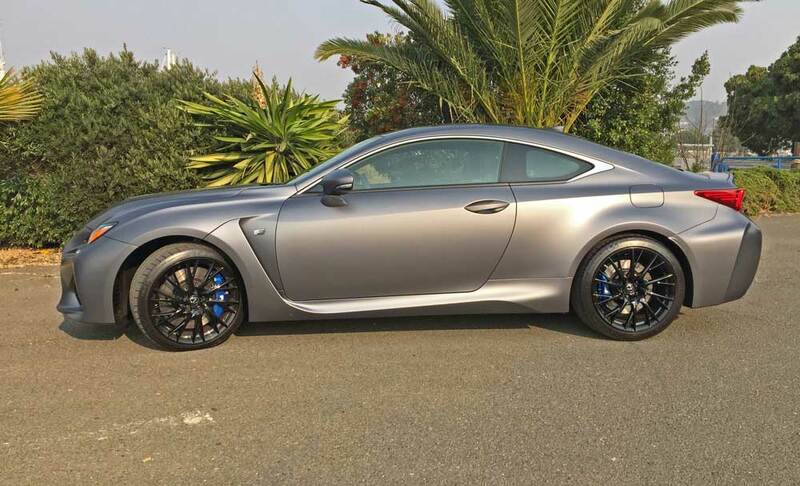 Bottom line, the 2019 Lexus RC F Tenth Anniversary Special Edition not only presents a striking visual image, but delivers a smile producing level of sporty performance at an affordable price point considering its uniqueness and impressive feature content. Not only that it?s comfortable too. Engine Type and Size: 5-liter, DOHC, 32-valve V8 with Direct and Port Injection, VVT-iE and VVTi. Transmission: 8-Speed Sport Direct Shift with steering wheel mounted ?F? spec paddle shifters and manual mode. Drive Train: Longitudinally mounted front engine / Rear Wheel Drive with Torsen Limited Slip Differential. Suspension: Front -Adaptive Variable Suspension; Double wishbone type with high-mount upper arms, high-rate coil springs w/ bound stopper, ZF SACHS shock absorbers, large-diameter hollow stabilizer bar. Rear – Adaptive Variable Suspension; Multilink with low-mount upper arms, high-rate coil springs w/bound stopper, ZF SACHS shock absorbers, large-diameter stabilizer bar. Brakes: Four-wheel power-assisted ventilated discs (Brembo manufactured for Lexus) with ABS, EBD and Brake Assist . Tires: Michelin Pilot Super Sport ? 255/35 ZR19 92Y FRONT / 275/35 ZR19 96Y mounted on 4-?W? spoke with 2 short connector spokes gloss Black alloy wheels.